Fact: things in 'burger' format are 267% tastier. Maybe its the fact that the outsides are fried? Or that they are easily slipped into bread and carbs are life? Who knows, but quinoa mixed with cheese and then fried turns this 'health' food into something even my kids like. I've used my homemade feta here, which is a bit less crumbly than the store bought kind that uses calcium chloride to help firm it up. 25g finely chopped herbs. I love chives in mine. 1. Cook quinoa according to pack instructions. Usually this involves boiling it in 1 part quinoa, 3 parts water for 15-20 minutes, until the spiral germ separates from the seed. Leave to stand for 10 minutes then drain off extra liquid. 2. Once its cooled, add the rest of the ingredients. You may need to add a bit of extra flour to get it to stick together. 3. In a frying pan, heat 2TB of oil. 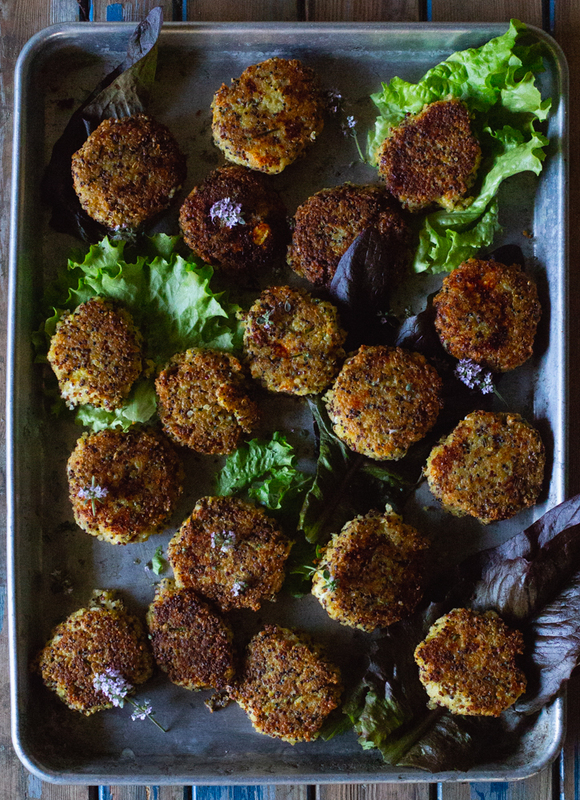 Once the oil is hot, shape the mix into patties slightly smaller than your hand and place in pan. 4. Fry for 3-5 minutes on the first side. Don't flip too early or it will fall apart. 5. Flip and brown on the other side. Serve with a salad and homemade chips. Want to learn to make your own feta? Its covered in our Intro to Cheesemaking class.